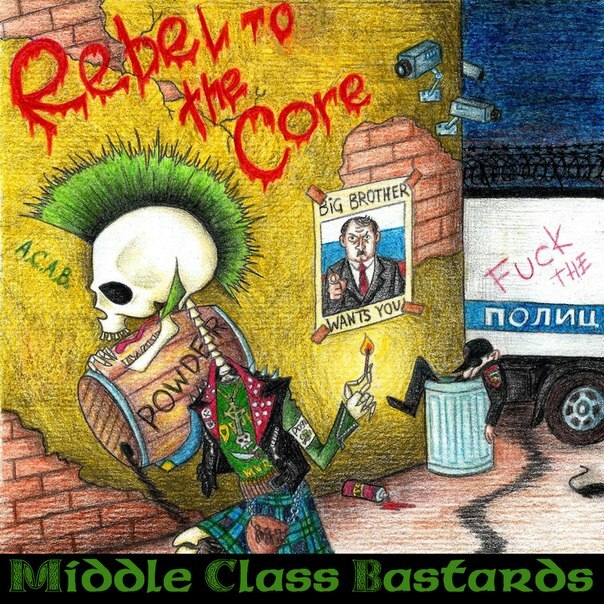 A band from Moscow playing Irish punk. Songs about pubs, Guinness, streams of whiskey, docks and romantic Irish fairy tales! One of the best things about celtic-punk over the last few years has been the emergence of bands from all over the world who play the music as good as any band born on the ‘auld sod’ would. One of the best scenes going has to be the one in Russia with some truly great bands and people who work together to help push the scene along and keep it moving in a positive direction. 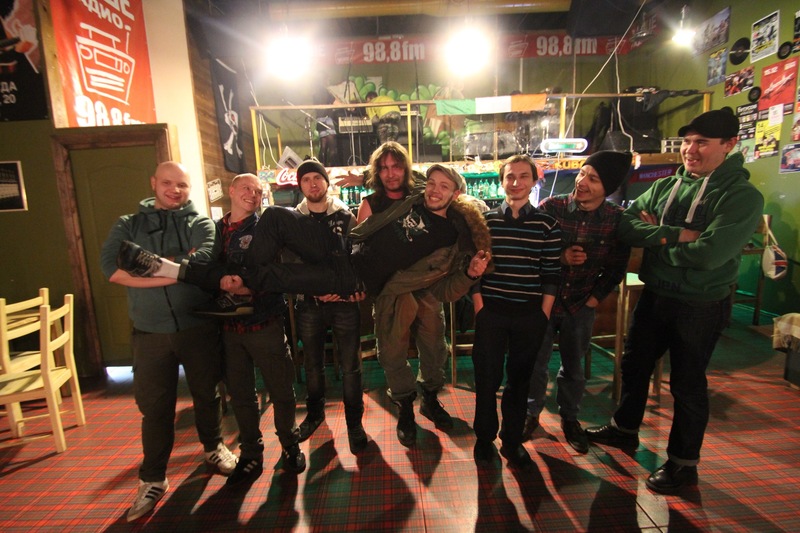 Drunken Fairy Tales are one of those bands involved in promoting the scene. They have been around since Christmas Eve 2010 and have been extremely prolific in that time recording and releasing several records and becoming very popular in Moscow and beyond. So it is in their sixth year they have released their best record yet and not just that but they have shown a progression that is sometimes lacking in the celtic-punk scene. Their can be a tendency sometimes for bands to rest on their laurels and coast along and as much as we like to hear what we know and love it’s also good to hear bands shake it up a bit and try different things. The EP is six songs long and is to be filed alongside Flogging Molly/the traditional Irish style of celtic-punk. Vanes accordion and Sasha’s fiddle lead the way and from the very first few bars of ‘Картошка’ (‘Potatoes’) the music leaps right out at you. Fast, furious and extremely well played. The boys sing in Russian through out and as we have mentioned often time before we totally respect that and we even go as far as to promote it. This is followed by ‘Пьяные Сказки’ (‘Drunken Fairy Tales’) and is the bands signature tune. 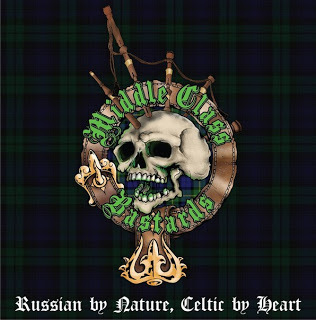 Starting off firmly in the celtic-punk camp it doesn’t take long to veer through Russian folk and then ska before ending with a right auld Irish flourish! Sadly we can’t tell you what the lyrics are about but you can bet your bottom dollar its pure uplifting stuff. No time for maudlin here with some proper party music. Another thing mentioned by us often is the ability of bands to capture on record their manic live performances and this is what Drunken Fairy Tales have managed. It is so well recorded that in parts it almost sounds a live gig! ‘О’Хара’ (‘O’Hara’) is next and the pace doesn’t let up for a second with the accordion on fire and keeping it well lit! ‘Старушка Молли’ (‘Old Girl Molly’) as you could possibly guess has more than just a wee nod in the direction of those other famous Molly’s and ‘Изумрудная Борода’ (‘Emerald Beard’) may be the slowest song on the EP, not that that means its slow, but for me works the best and is my favourite track here. The EP ends with ‘Скейтборд’ (‘Skateboard’) and sounds just like an Irish folk Rancid with that accordion again working overtime and the EP ends as it began… breathlessly! ‘Пьяные Сказки’ was released on March 21st and comes in just shy of twenty minutes. The band have been very very generous and have made the entire EP available for download for free! The boys don’t even want a donation off you either… so you simply have no excuse at all NOT to download this great EP right away. DO IT NOW!!! !